Paul is a qualified architect in the UK, having completed his registration at the Bartlett School of Architecture in London. 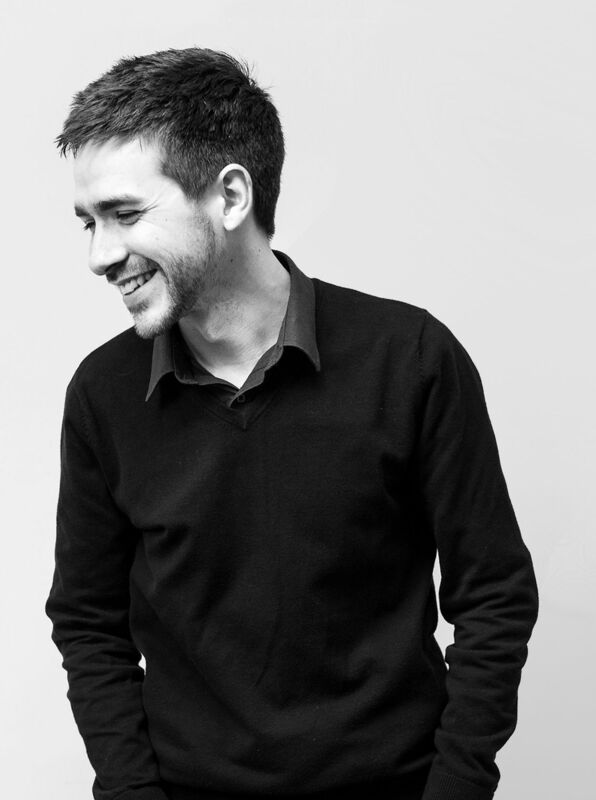 Having run the gauntlet of professional practice for 3 years, he ventured into the vociferous world of freelance journalism, and is a regular columnist for multiple online platforms provoking debates on architecture, including Architizer and Archinect. A keen advocate of humanitarian design, Paul also volunteered for Architecture for Humanity in 2014, lending a personal angle to the article on Football for Hope featured in that issue. Back in January 2008, Danae Ringelmann cofounded the crowdfunding website Indiegogo as a democratic platform for people to fund film projects. Given these cinematic origins, it seems appropriate that the stratospheric rise in the popularity and social relevance of crowdfunding has been based around the production of great movie trailers: Many of Indiegogo’s greatest projects are built around compelling promotional films, each telling a powerful story about the campaign and the people behind it. Once, these trailers helped to bring the fictional lands depicted in movies to our screens. Now, they are driving transformations in the real world. One such film was produced by Knitknot Architecture, a collective of architects, urban planners, artists and thinkers who, together with non-governmental organization Seeds of Learning, have embarked on an architectural adventure with the help of donations from around the world. Their project — a school for children in the Nicaraguan village of El Jicarito — is a marriage of collaboration and creative talent that aims to benefit everyone involved. 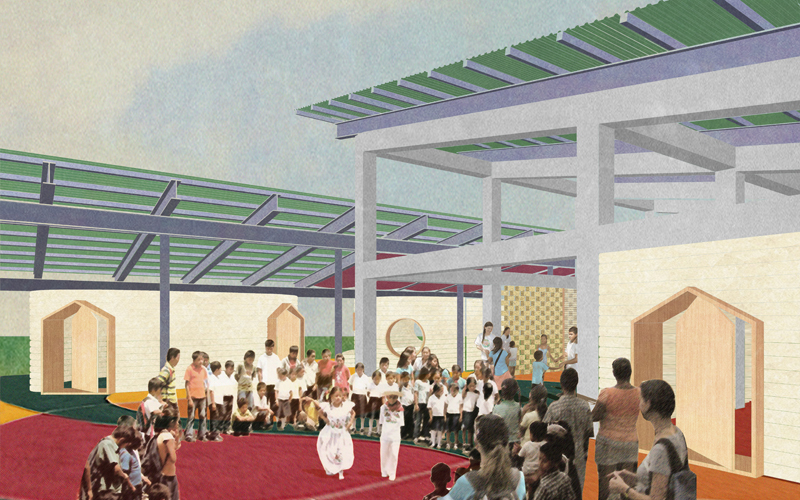 “We are bringing together a community in need of a school, an NGO that works with education, and a team of architects who are excited about bringing new construction methods to Nicaragua,” explains Knitknot Architecture’s cofounder Gonzalo J. Lopez. 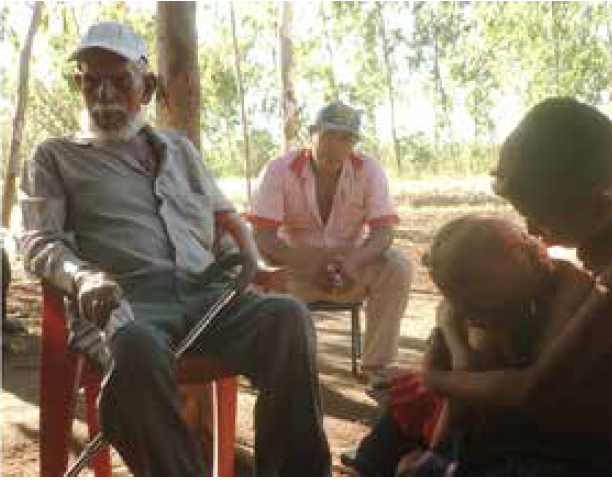 With the education of El Jicarito’s children taking place in makeshift huts, the community had long been in need of a more permanent structure to aid the development of their youngest generation. 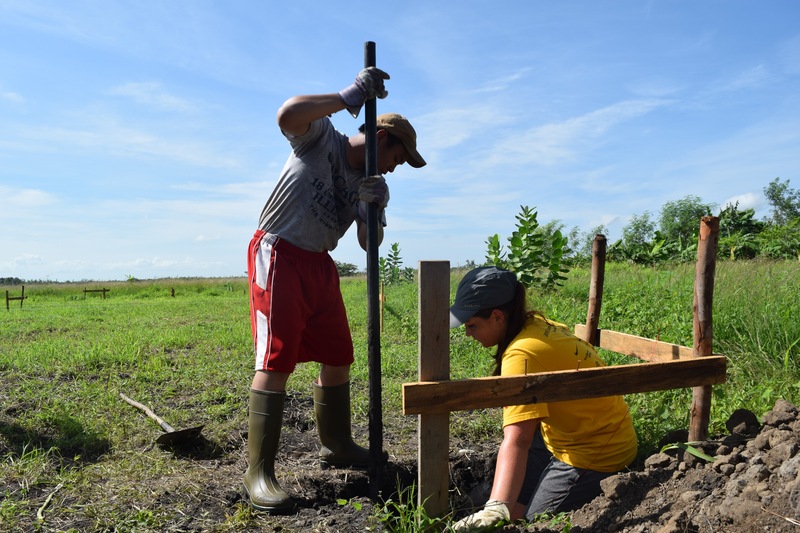 However, with little in the way of financial aid to help with the construction of public buildings in this remote part of Nicaragua, an unorthodox means of financing the project was needed. 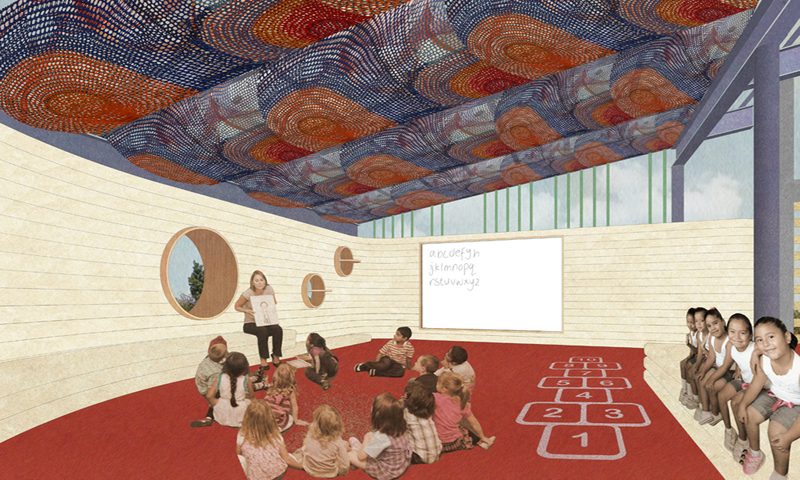 Enter Knitknot Architecture and Seeds for Learning, who identified crowdfunding as the catalyst to bring the project to fruition. “In the decision to use a crowdfunding platform like Indiegogo, different factors intervened,” remembers Lopez. “First, the project means a change in their traditional way of building schools, in the continued search for improving conditions, spaces and dynamics for education, giving the project a sense of ‘starting point’ to define the NGO’s activity in the future. The project is a bit more ambitious in terms of size and techniques than their previous projects, which represents an increase in their usual expenses. While Indiegogo’s platform has made it infinitely easier to set up such a campaign, making it a success requires a great deal of hard work pertaining to raising awareness and convincing a broad demographic of the project’s worth. With the sheer volume of campaigns now proliferating across Indiegogo and similar platforms such as Kickstarter, making your project stand out from the crowd requires a well-presented explanation of your mission — and smart ways to market that mission. Knitknot Architecture’s sense that this project could capture the imagination of the public and bring out the altruistic qualities of a wide audience turned out to be well founded. The collective’s colorful campaign garnered just over $22,000 from 249 backers, surpassing their goal of $20,000 on May 29th 2016. The team have put these funds to use immediately, having begun pouring the foundations in July 2016. 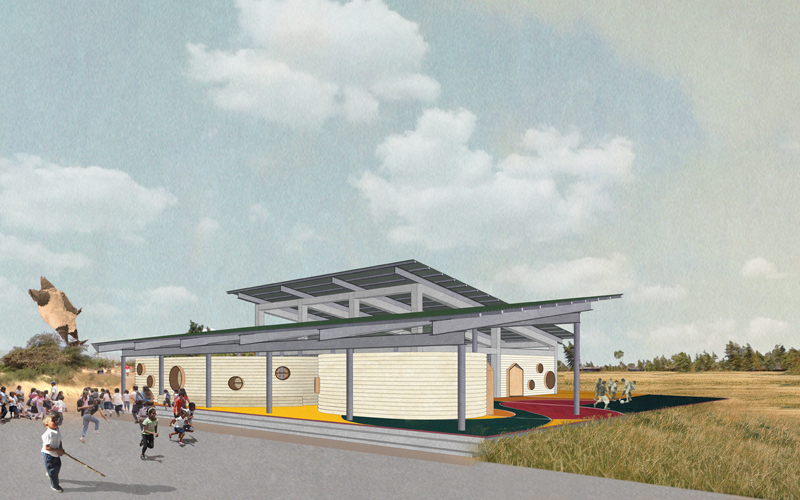 The inventive method of funding for Knitknot’s school is matched by numerous innovative design features within the building itself, each of which will allow the community to learn about new construction techniques as well as benefiting from the finished project. The dual concept of “learning from the building” and “learning in the building” was identified by Knitknot at the outset of their campaign, and participatory design principles are integral to the project’s journey from conception to completion. This participatory process began with a series of experimental workshops in which members of the local community and volunteers devised a simple yet bold system to give shape to the collective spaces. Colored paving will be laid across the site in sweeping segments, helping to define the different programmatic areas and creating a vibrant, joyous aesthetic that will run throughout the cluster of classrooms and outdoor play areas. Concrete substructures are proposed to support and give shape to the elementary school classroom and polyvalent spaces in between. Further to this, a steel frame structure will frame two modules housing the preschool classroom, a bathroom and a multifunctional warehouse. These conventional structural systems are familiar to the local community, meaning that they will be able to collaborate and help build the primary volumes with confidence and efficiency. Design innovation is then introduced to the project in two key ways. Firstly, earth bags will be used to form the walls of multiple buildings, a low-cost construction method selected for its sustainable attributes. Some earth bag walls are proposed as secondary structural components working in conjunction with concrete columns, while others will act as self-supporting elements, wrapping the preschool classroom and toilet and warehouse modules. Secondly, Knitknot will implement a ventilated roof structure that combines a conventional metallic roof with a second layer of fabric, creating a void that helps absorb the heat and noise from heavy rains prevalent in the region. 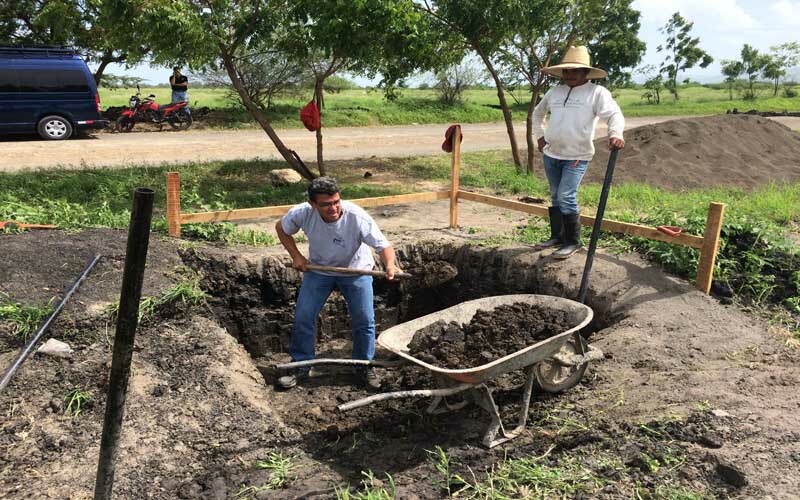 As well as providing shelter to suit the humid conditions of El Jicarito, this solution is intended to educate the community on sustainable building practices that they could potentially employ on further structures in the village. The finished building will provide highly flexible spaces that can be used by the community both during and after school hours. For example, the “square” can be utilized at different times of the day as meeting point, event space and playground. Further to this, the open-plan interior spaces can be combined in different ways to create large common areas, accommodate an additional classroom if the number of pupils increases, or become an extension to the public square on special occasions. This programmatic versatility means the building is set to be much more than a school. 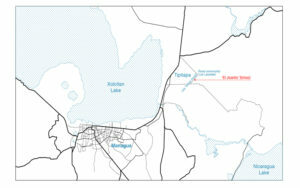 It constitutes a valuable learning opportunity for local people before, during and hopefully long after construction. In time, the project will likely come to be viewed as a precedent to architecture firms and NGOs around the world considering ways in which communities can benefit from carefully crafted funding campaigns and an effective participatory design process. Knitknot Architecture’s initiative is exemplary of how creative design and an inspiring narrative can be combined with adept marketing to bring public interest projects to fruition with little or no immediate capital. In the long term, however, it could stand for much more than that. 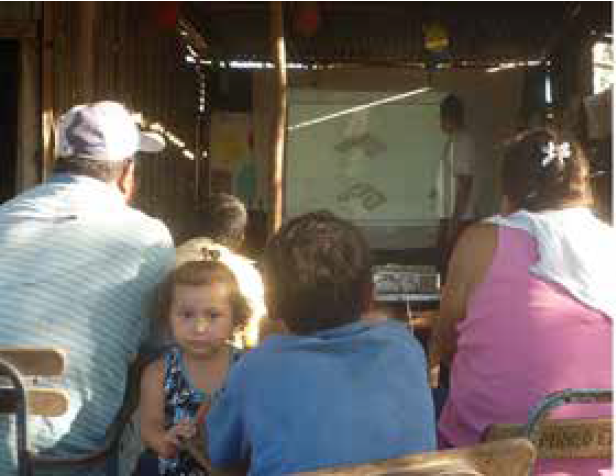 The success of El Jicarito constitutes compelling evidence that crowdfunding is now a wholly viable method of financing humanitarian architecture, and its inherent scalability is perhaps the most exciting component of this trend. To understand just how much potential there is here, one need only look at the vast sums of money raised through Indiegogo or Kickstarter for design-based projects outside of the architectural realm. Within the arena of product design, the “Coolest Cooler” was the most funded endeavour in Kickstarter’s history as of 2015, having raised an extraordinary $13.3 million for their high-tech cooler incorporating a waterproof speaker and USB charger. Of course, kittens are much easier to market than architecture — or so you might think. In fact, the “cool” factor can be applied to innovative public space projects with phenomenal results, as proved by +POOL, a campaign launched by the creative minds at Family and Playlab to build a floating swimming pool within New York City’s East River. A key factor at play here was the organizers’ smart strategy to tempt a large number of people to make small investments in the project: each person donating $25 was offered the chance to have their name engraved on a +POOL tile, effectively owning a tiny piece of the structure and adding a visceral sense of pride to their financial investment. The result? $273,000 raised with well over 3,000 backers. This extraordinary sum has enabled development on the pool to progress, with a Float Lab constructed in 2013 to test the pool’s filtration system in real-river conditions. While gaining clearance from federal, city and state governments to construct the project remains an arduous process, the project is edging closer to reality. In the meantime, the Plus Pool team have launched a swimming education summer program, free of charge. From the villages of Nicaragua to the rivers of New York City, crowdfunding has proven to be the perfect platform for public interest design, not just to achieve funding, but also — crucially — to show a wide audience the power of great design to benefit communities in every context. But how far can this approach go? It remains to be seen whether larger projects can successfully ride the crowdfunding wave, and how long this trend will continue, as Indiegogo and Kickstarter become increasingly saturated with campaigns vying for the attention of the public. 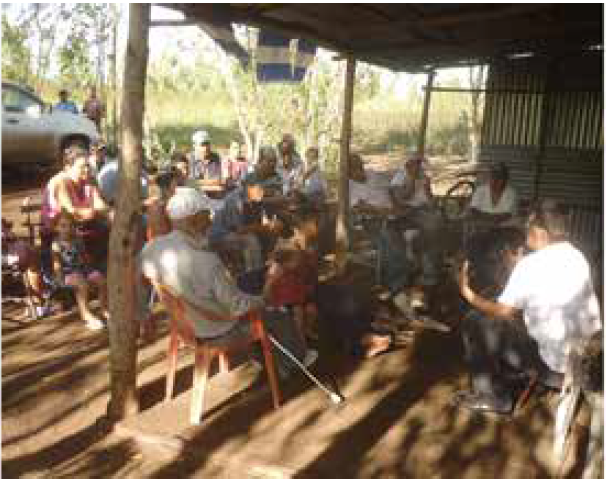 One thing that is sure to last, though, is the newly acquired skillsets of El Jicarito’s close-knit community. For them — and particularly the children who will soon move into a brand new, highly innovative school — the sky is the limit.